One of the best ways to find networking contacts is through LinkedIn. Commonly known as the “professional Facebook”, LinkedIn is a great resource to network, research companies of interest, locate informational interview contacts, and improve your personal brand. This free site opens the door to over 70 million professionals around the globe, representing 150 industries. Create an account today and begin expanding your professional network. To make the most of your LinkedIn experience, be sure to join the Wake Forest Alumni group! Another great way to make networking contacts is through your friends and family. Talk to your parents, professors, high school teachers, and Wake Forest friends about what career paths interest you. Ask them to help you make connections with people who could tell you more about the careers that interest you. Share information, ideas, resources, and contacts with others. Networking is a two way process. Know basic information about careers that interest you. Think of everyone you meet as a networking contact. Keep a well documented record of your contacts – how, when, details of the conversation and any follow up necessary – with our Network Tracking Tool. Follow the links for useful guides for maintaining and establishing your network: for all majors, and more specifically for those students looking to go into the financial services network. First impressions are important and your LinkedIn profile is often the first link that occurs when Googling your name. We’ve now added LinkedIn profile reviews alongside our scheduled daily resume and cover letter reviews. Make sure you’re on-line presence matches the quality of your resume. Stop by during scheduled review hours to receive tips and advice to polish up your LinkedIn profile prior. To help you easily connect to alumni that can provide career and job search guidance, The Office of Personal & Career Development moderates a LinkedIn group: Wake Forest Career Connectors. By joining this group, you gain easy access to our extended career community of Wake Forest alumni who want to support you in establishing your career goals. Wake Forest Career Connectors want you to be successful by providing real, honest information about industry trends, employers, and relocation. 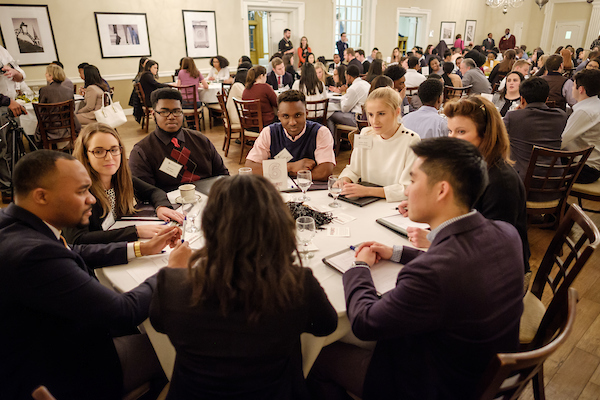 By reaching out to Wake Forest Career Connectors, you will be developing your own network of professionals who can help you identify internship and job opportunities. Our Wake Forest Career Connectors will help you develop a strategy for securing an internship or full-time job. You will get the ability to send Wake Forest Career Connectors email messages directly through LinkedIn.